It is with great sorrow and joy that we announce the passing of Lucy Marion Armstrong. She fell asleep in Jesus Christ her Lord and Savior on Friday January 25, 2019. Lucy was born April 3, 1935 to the union of Henry D. “HD” and Jessie Mae Chandler Woodard in Knoxville, Tennessee. She was preceded in death by her husband of 40 wonderful years, James W “JW” Armstrong Sr, who traveled from the countryside of Strawberry Plains all the way to “Mutt Town” to steal Lucy’s heart. JW took Lucy on the ride of her life with the United States Air Force. Together, the two were stationed in Alaska, Nebraska, Canada, and other parts of the world. 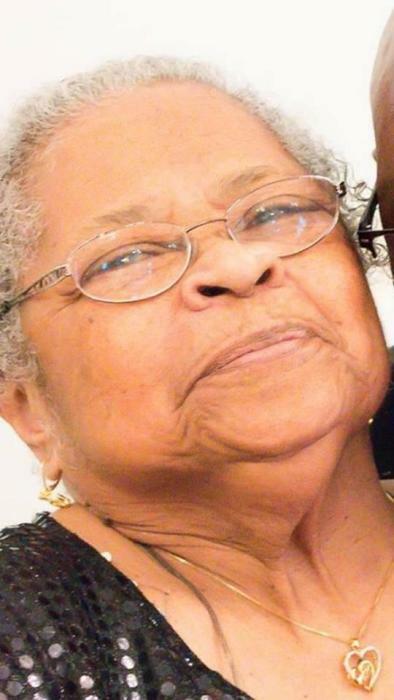 She was a longtime member of Edgewood Chapel AME Zion Church and later attended Trinity Seventh Day Adventist Church with family. Other family members who preceded her in death were her parents, Jessie Mae and Henry D “HD” Woodard and siblings, Joann Woodard, Gwen Trundle, Henry “Sonny” Woodard, Jr. and Harold Lawrence. Left to cherish her memory and live out her legacy are two sons, James “Snoopy” Armstrong Jr. and Lawrence Michael Armstrong, and daughter-in-law Aondria; one daughter, Nicole Michelle Brown, and son-in-law Victor; 13 grandchildren: Joshua, Allura, Caleb, Mystorie, Michael “Mike-Mike”, Shea, Amber “Lady bug”, Devin “DD”, Lexi “Sissy”, Chase, Nicos, Vicentez, and Victor; 13 great grandchildren, each of whom held a very special place in their Granny’s heart. Lucy leaves behind sister, Eleanor Langford, two uncles, Major and Mark Chandler; brother-in-law, Leonard (Connie) Armstrong; and host of other family and close friends to include Verna Mae Lattimore of Knoxville, TN, R.D and Ursula Foust of Hampton, VA, Truman and Gloria Williams of Strawberry Plains, TN. The Armstrong family would like to extend a heartfelt thank you to the staff of Renaissance Terrace Assisted Living for their love and care given to our love one. Sunday February 3, 2019, the family will receive friends from 1:00 p.m. to 2:30 p.m. with service to follow at Trinity Seventh Day Adventist Church, 222 Kirkwood Avenue Knoxville, TN 37914. Pastor Nathan D. Williams and Pastor Victor L. Berry officiating. On Monday February 4, 2019 at 11:30 am, Lucy will be laid to rest with her husband at Tennessee State Veterans Cemetery, 5901 Lyons View Pike, where a white dove release will conclude the service. Flowers may be delivered to 2104 Magnolia Avenue on Friday from 9:00 a.m. to 4:00 p.m. Professional arrangements entrusted to Patton Funeral Home, Brian L. Buckmon, LFD 1-800-824-8283 or www.pattonfuneralhome1962.com.